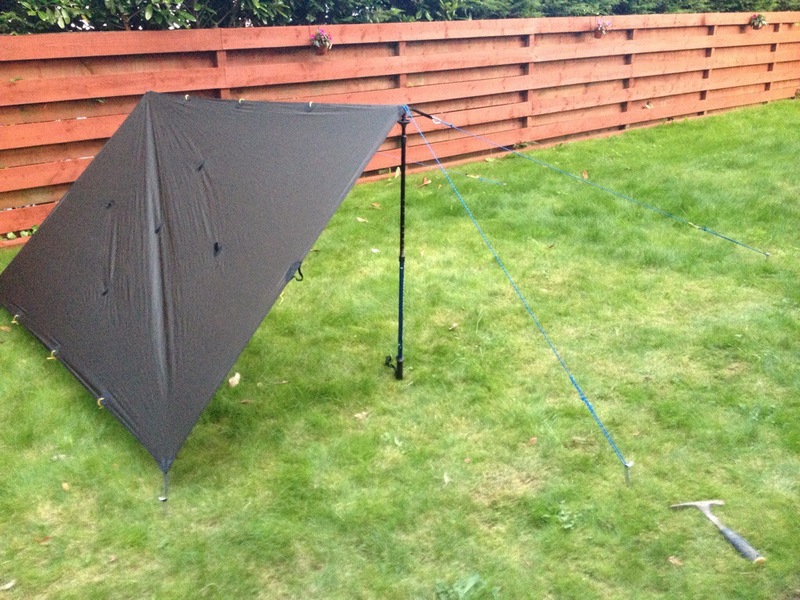 With my urge to try and cut down on my kit weight, in addition to my newly acquired bivi I’ve now added a tarp. 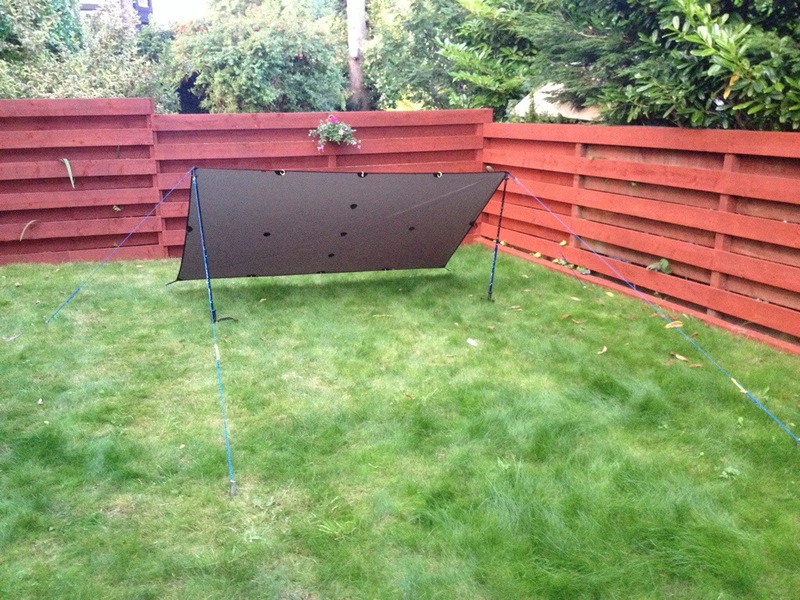 A versatile and simple bit of kit that can be set up in a variety of configurations. 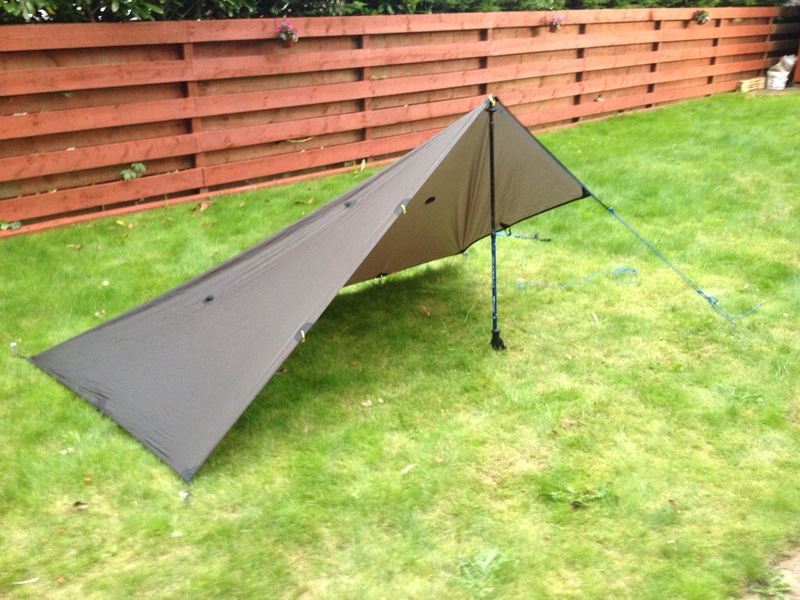 It’s from Alpkit and is the Rig 3.5 Solo version. 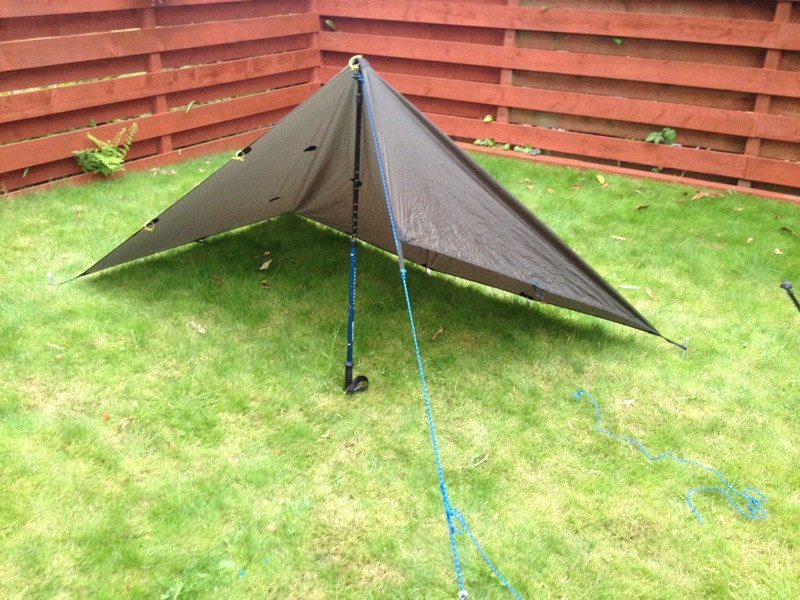 This brings my sleeping arrangements to 1kg or there about’s, shaving almost 1kg off my original tent weight. 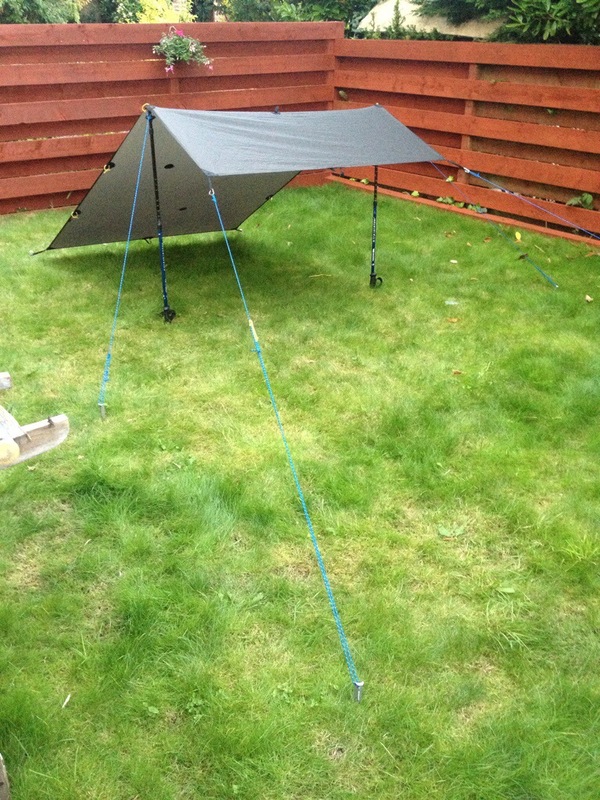 Whether a shelter from wind or rain,to cook under or protect your gear from the elements the Tarp is a great addition. 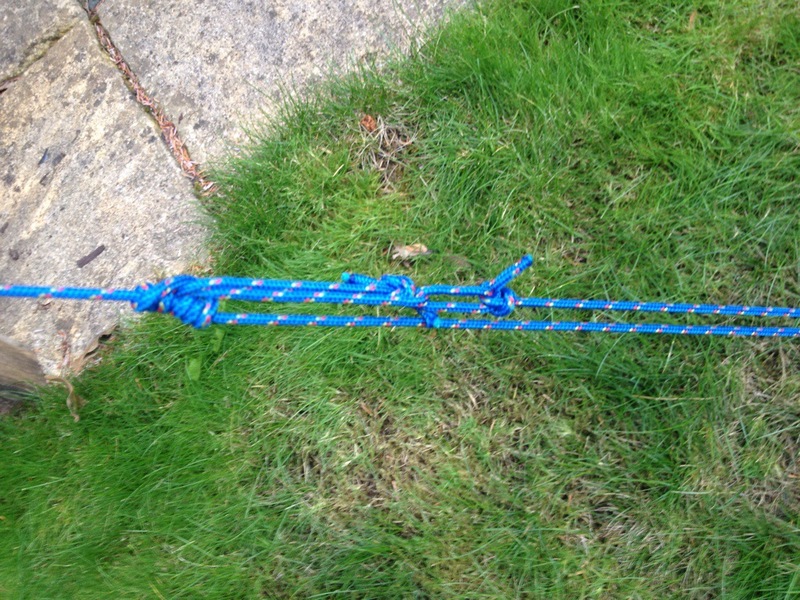 With the setting up of the Tarp there’s a few basic knots that are worth learning ( I had to), these make setting up, adjusting and dismantling easy. 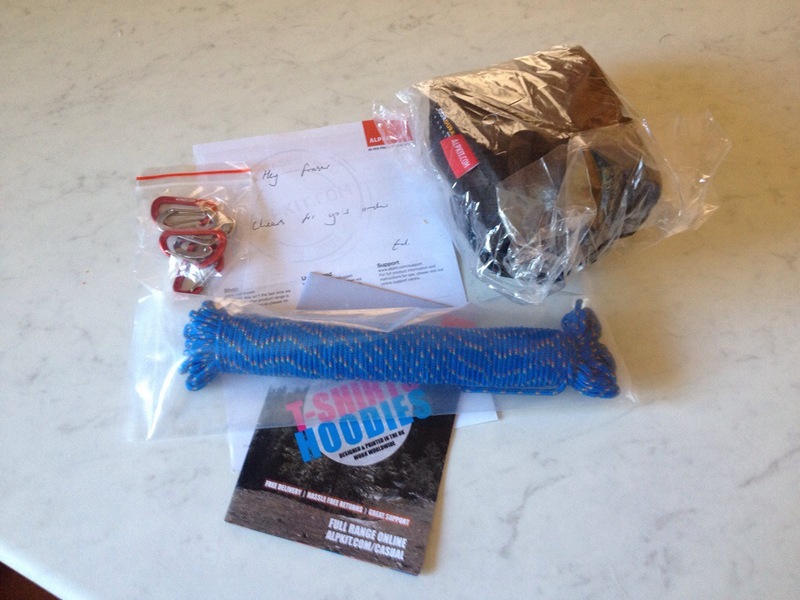 The Prusik knot and the Bowline knot. 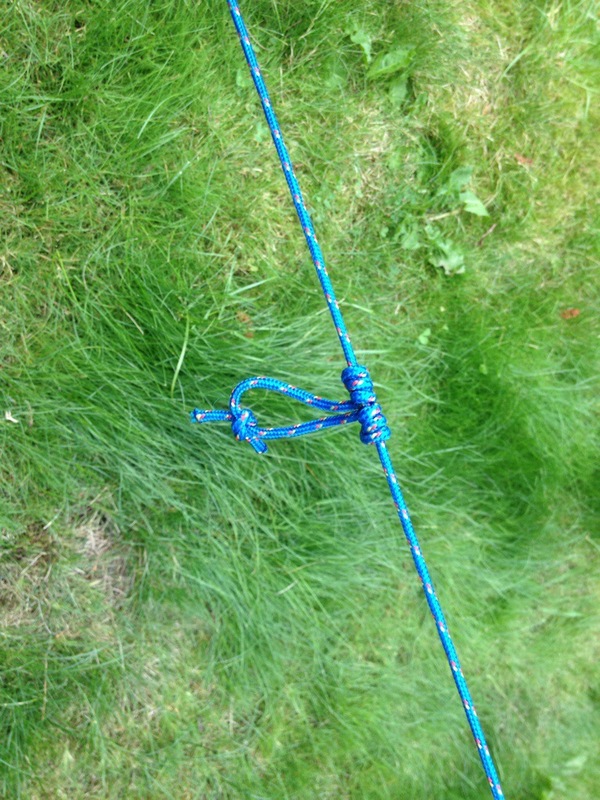 The Prusik allowing adjustment to line tension by sliding and the Bowline as a fixing loop. A few quick examples I tried, with use of walking poles as support.